Abstract: Vikings never interested French Historians. Pagan, illiterate, barbaric, Germanic, everything was despicable in the eyes of the French Historians of the 19th century. These looters came, but never managed to corrupt our noble and proud Latin civilization. Only Normandy has kept the souvenir of that period. 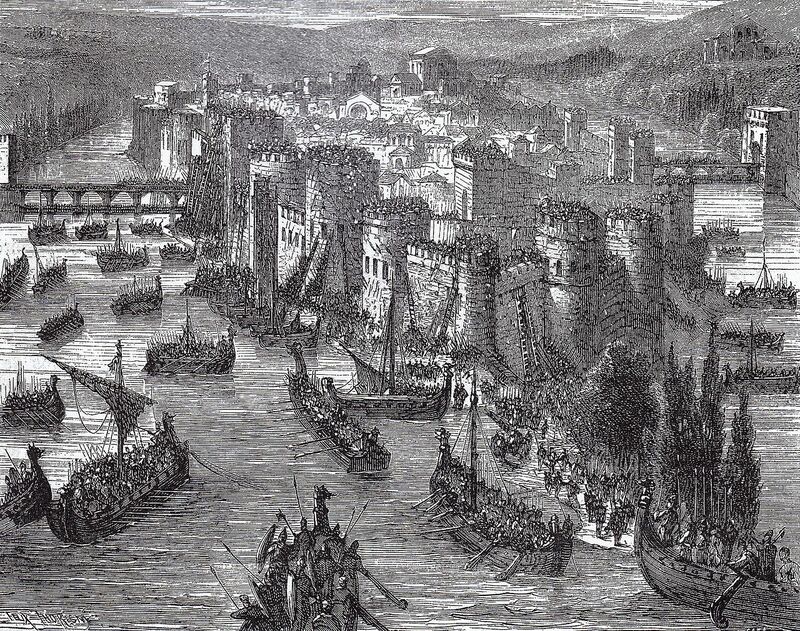 Norman Historians began to study the Vikings, but only as founders of Normandy: they studied the “Danes” North of river Loire and decided to ignore “Norwegians” who were active south of it. An absurd choice which was welcome by Historians of the south, who consider Viking invasions as a non-event: Vikings disappeared in a two centuries documentary gap. In other words, Viking invasions in France are still a virgin subject in 2014. Le Goff doesn’t say a word of the area between Loire and Spain that is Aquitaine. Le Goff doesn’t mention the falls of Dax, Aire and Tarbes in 840, the raid on Toulouse in 844, the falls of Saintes in 845, Bordeaux in 848, Périgueux in 849, Bordeaux again in 855, Clermont in 856, Angoulême, Limoges and Poitiers in 863. All the cities of Aquitaine were taken one after the other before the invasion of England, but the Historian chooses to keep silent. In fact, Le Goff ignores deliberately all the events touching Aquitaine, this rich kingdom whose king Pippin II was fighting on the side of the Norsemen. Why such a silence?